/EINPresswire.com/ -- NEW YORK, NY--(Marketwired - March 08, 2017) - ASCAP, the American Society of Composers, Authors and Publishers, will present legendary composer Stephen Schwartz with its prestigious Founders Award at its 32nd annual ASCAP Screen Music Awards on Tuesday, May 16. The exclusive, invitation-only gala celebrates ASCAP's top film, television and videogame composers of 2016 at The Wiltern in Los Angeles, CA. 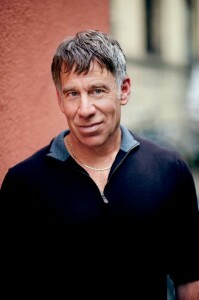 In the course of his extraordinary career, Stephen Schwartz has composed iconic scores and lyrics for films including Godspell, Pocahontas, The Hunchback of Notre Dame, The Prince of Egypt, Enchanted, and the TV movie Geppetto. On television, Schwartz's works have been featured on Glee, The Voice, American Idol, and Saturday Night Live, among many others. On Broadway, Schwartz began his career with the hit musicals Godspell, Pippin, and The Magic Show, all three of which were at one time running simultaneously. His long-running Broadway musical Wicked will be adapted for the screen. "Stephen's iconic scores have thrilled audiences in multiple mediums for the last four decades," said ASCAP President Paul Williams. "His words and music illuminate the stories being told, reveal the inner lives of the individual characters and yet somehow manage to reflect his unique light on our own hopes and dreams. On the stage and on screens large and small, Stephen's wisdom and humor weave a narrative in words and song that transport the listener to worlds that exist only in the imagination." "Stephen Schwartz is not only a giant in the world of musical theatre, he is also an incredible mentor, teacher and friend. He cares so deeply about the art form, and is truly committed to nurturing and supporting future generations of musical theatre writers. We feel so lucky to have received so much support and guidance from him, and have been changed undoubtedly for the better by having him in our lives," said Justin Paul and Benj Pasek. Schwartz is the recipient of three Oscars, four Grammys, four Drama Desk Awards, one Golden Globe, and the Richard Rodgers Award for Excellence in Musical Theater. In 2008, he received a star on the Hollywood Walk of Fame, and a year later, was inducted into the Songwriter's Hall of Fame and the American Theater Hall of Fame. He has received six Tony Award nominations: for music and lyrics for Wicked, Pippin, and Godspell; for lyrics for Rags, and for music/lyrics and book for Working. In 2015, he received an honorary Tony Award, the Isabelle Stevenson Award, for his commitment to serving artists and fostering new talent. As a long-standing board member of The ASCAP Foundation, Stephen Schwartz's contributions span far beyond what he has written for the stage and screen. For more than 20 years, he has served as artistic director for the ASCAP Musical Theatre workshop in both New York and Los Angeles, nurturing many of the young composers and lyricists working in the theatre today.